Even after so many books, so many characters, so many stories, there comes a novel that has you firmly gripped in a dark, merciless embrace that leaves you breathless and transported to a country where every corner sings of history and legends. And pain. There is immense pain in this book. And immense beauty. This is China. Coral Jiang lives with her boyfriend, Red, in a 25-storey high-rise in Beijing. One day, an eel finds its way into their flat and Coral’s thoughts return to the Village of Stone, the land she left thirteen years ago. It is not a happy reminiscence. Relatively untouched by the Cultural Revolution, this haunting corner of the Earth comes alive through the fragrance of jasmine and the salty air of the dangerous sea. But nothing can diminish the atmosphere of sadness, hopelessness, and pain. A graveyard rules over the lives of the residents. A gravesite is chosen the moment you are born and your tombstone is raised. And it waits. It waits patiently, up there on the top of the hill. It waits because no one ever leaves the Village of Stone. The Village where the Sea Goddess refuses to bless the families, indifferent to the altars that honour her. The Village where the Sea Demon snatches away children playing on the shore. But there is nothing more threatening than a human and Coral knows it well. 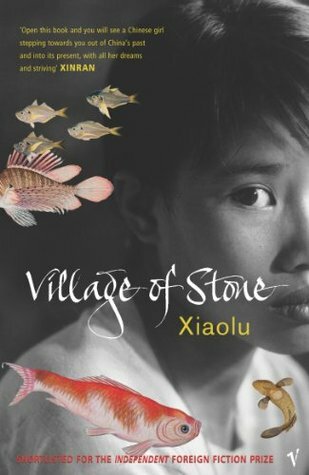 Xiaolu Guo depicts the life in the big city, the noisy metropolis, and the life in the island as equally harsh and demanding. A struggle for the individual to survive with dignity and hope. Beijing is described as a capital that can give you everything and as a city where the sun cannot be seen and the wind cannot be felt because of the monstrous buildings. The feeling of isolation and suffocation is acute. In the island, the typhoons threaten whatever peace may exist. No sun, no dreams but for the ones disrupting Coral’s troubled sleep. Any other dreams and aspirations have vanished. Children become old before their time in a society that ages, occupied by old minds and old hearts, in communities that shut the door in everyone’s face. 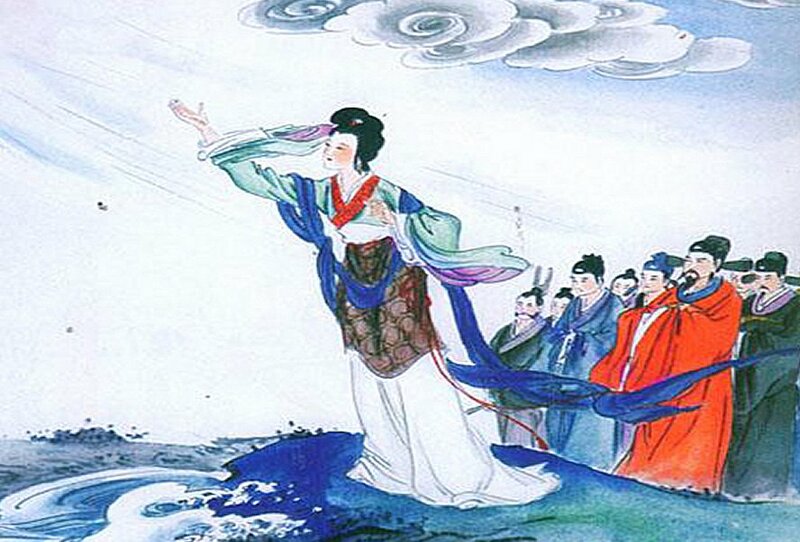 The gradual revelation of our heroine’s past is powerful and excellently depicted. There are many raw, cruel, vicious moments that require a strong mind on the reader’s part. The chapter of the fishermen’s superstitions and hatred towards a woman from the mountains was heart-wrenching as were the references to abortion. Abuse, psychological isolation, dysfunctional relationships. A deep feeling of hopelessness, as if you drift through a life that holds no thrill, no emotions, a kind of living, breathing death. The humble eel becomes a strange symbol of endurance, continuity and a hesitant hope. Α cast of characters that become your friends or ghosts haunting your dreams. Grandma, Red, Mr. Mou and, naturally, Coral, a wonderful, brave woman that you will come to love. On a side note, I was happy and proud to find references to the acclaimed Greek film Ulysses’ Gaze directed by Theo Angelopoulos. No, this is not a happy story. Seldom have I found a ‘’happy’’ story that was interesting. This one is grim and haunting. Sad and terrifying. Claustrophobic like the high-rises in the big cities of China. Ferocious and screaming like the typhoons. And hopeful like the twenty-five minutes of sunshine falling on the corner of a small balcony somewhere in Beijing. Beautiful in its darkness and despair. It is an outstanding example of Contemporary Chinese Literature. It is a masterpiece.